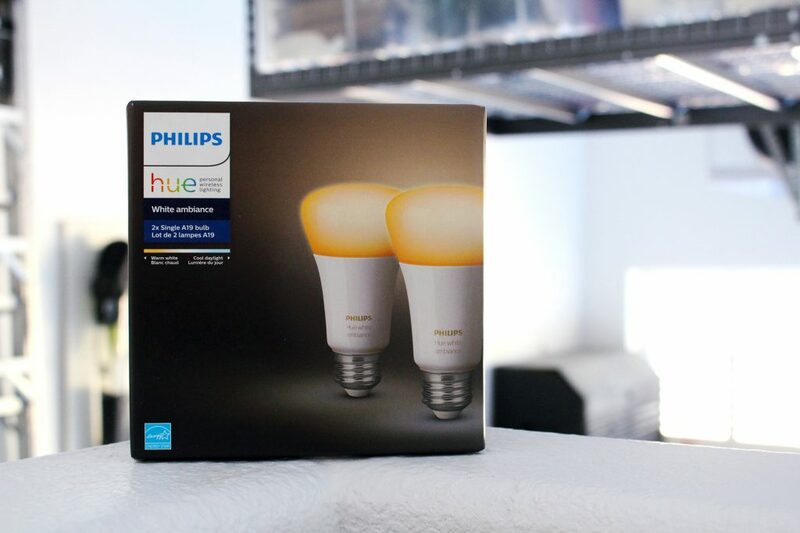 This year, we are on a mission to create the ultimate Smart Homes. 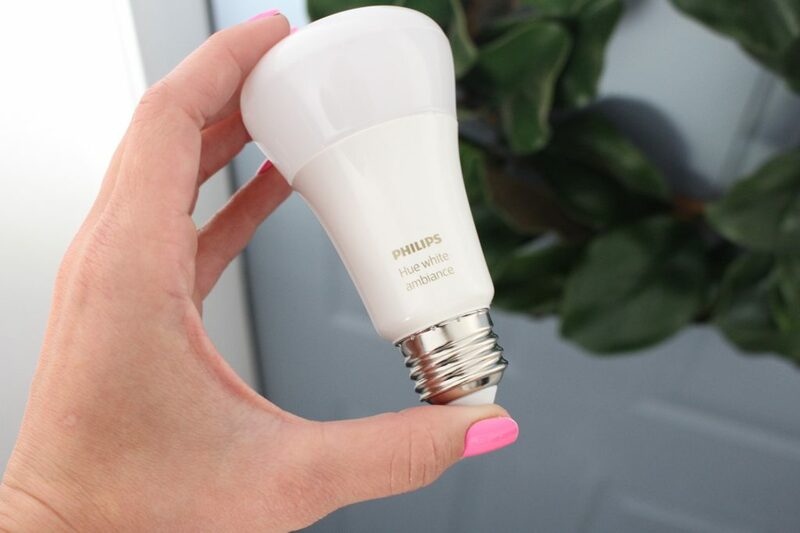 We are going through virtually every space and creating convenient smart home features. 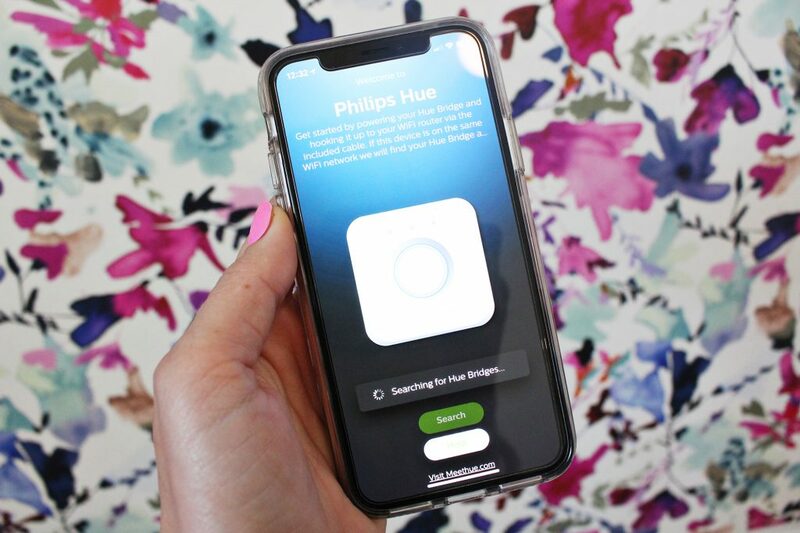 If you missed my backyard post, I talked about how we added smart locks our exterior doors and they have been awesome!! 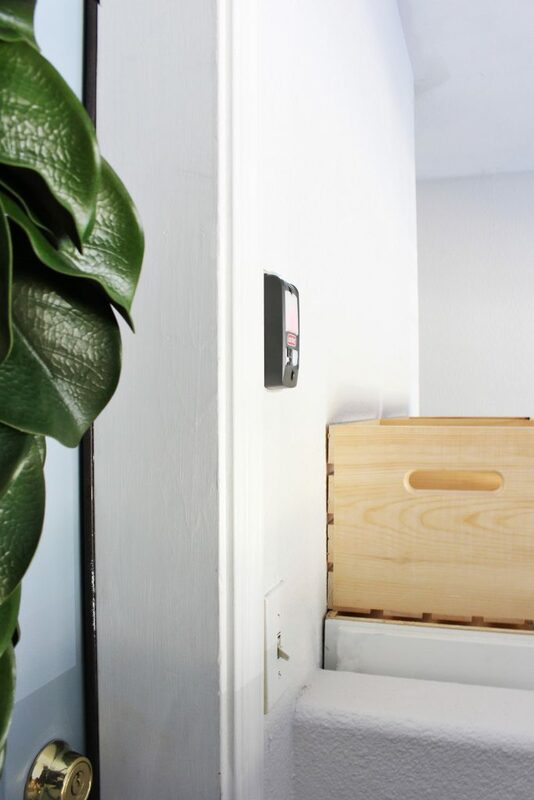 I spent a few weeks working on every single detail of our garage and making sure it was functional and “smart” to make my DIY life more convenient (and pretty!). The lights and the garage door opener were super dated since the house was built in 1994. 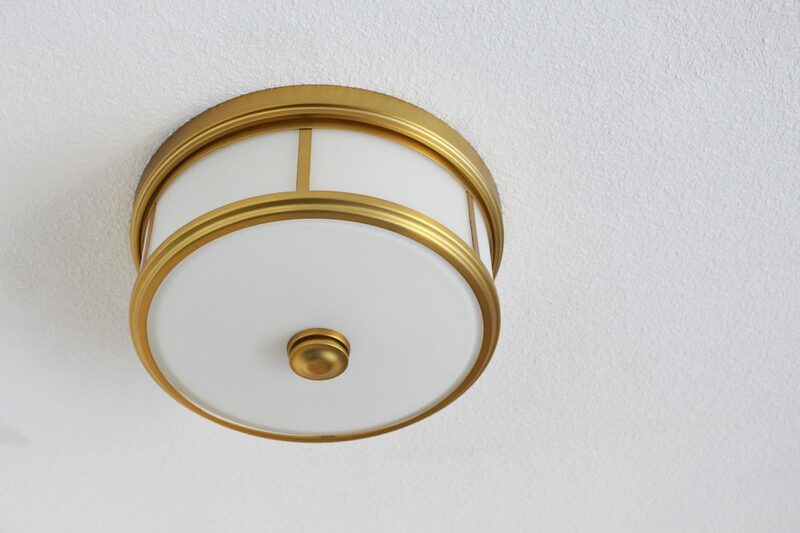 We left the fluorescent lights on the ceiling and replaced the flush mount light at the top of the stairs. 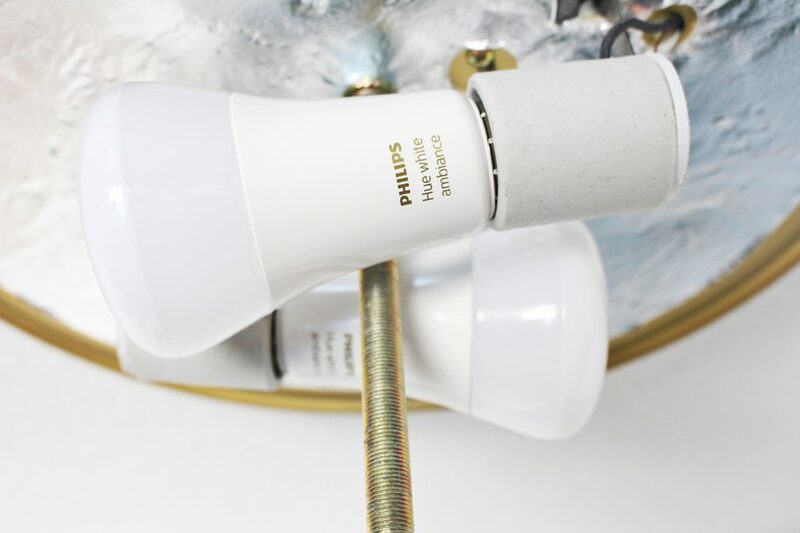 I used my favorite gold flush mount light and installed the Phillips Hue personal wireless lighting so we can control the lights remotely. 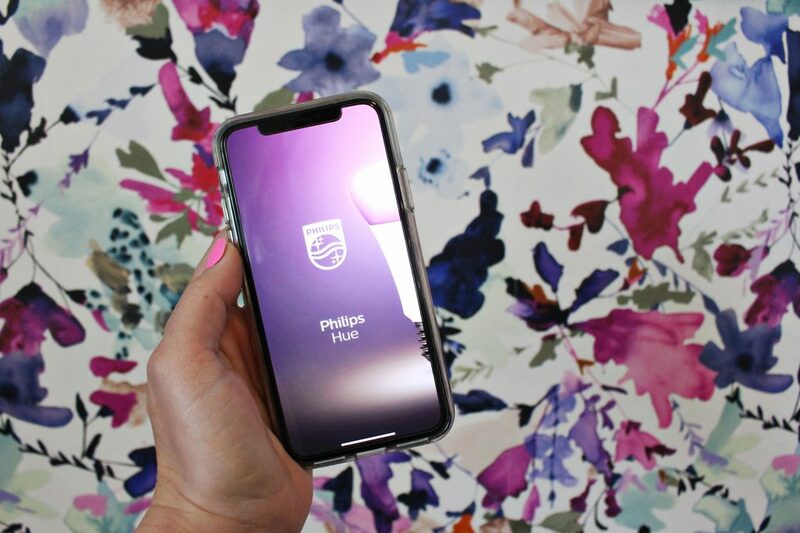 I love this feature because if we are out of town, we can set up routines on the Phillips app to turn the lights on and off so it appears that someone is home. 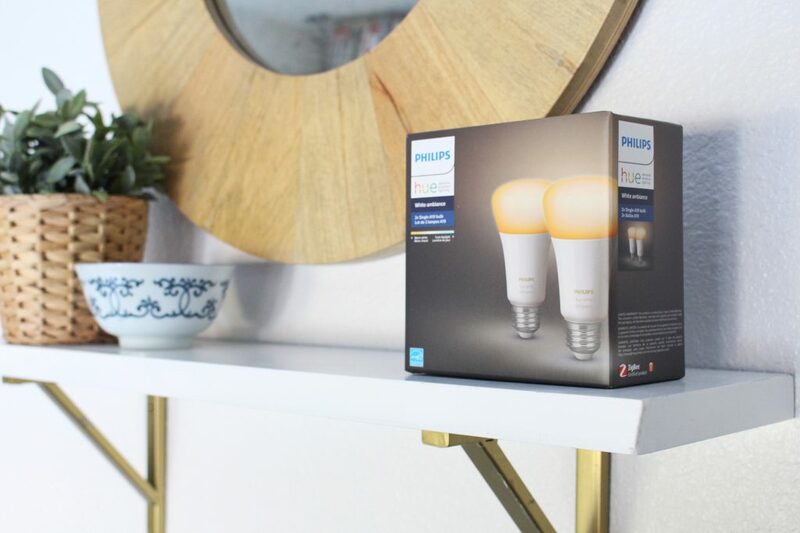 I also love it in case someone leaves the light on when it’s supposed to be off (like the kiddos getting water bottles out of the garage fridge before bedtime!). This allows me to turn off the lights from my phone which is pretty awesome. I love that you can set up so many options for different spaces in your home. 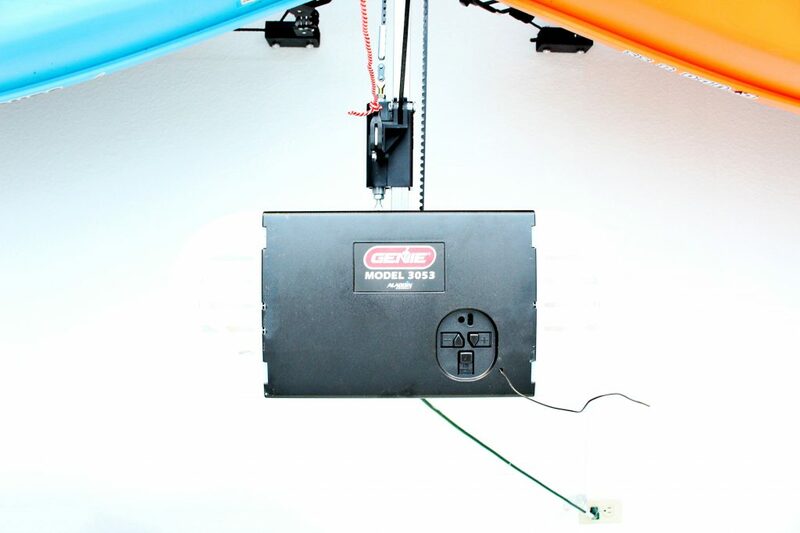 The garage door opener was very loud and often didn’t work properly. It would get stuck all the time and sounded like an airplane landing when it would go up and down. 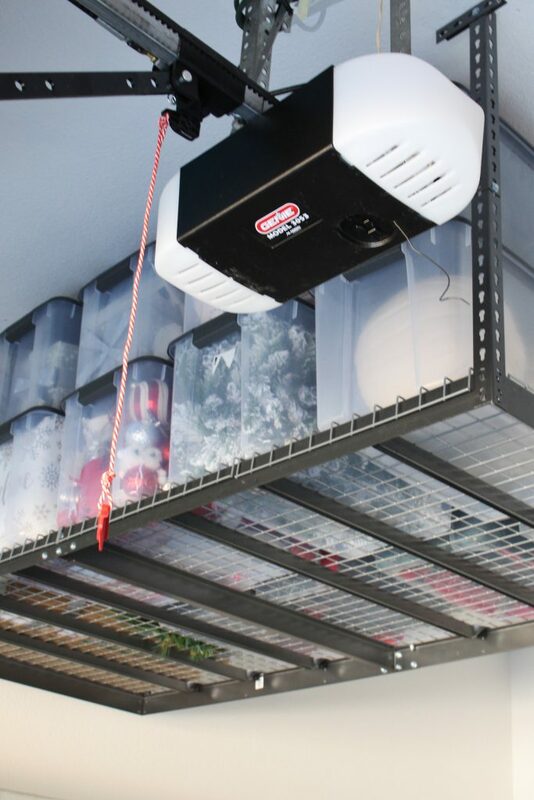 We installed the new Genie SilentMax Garage Door Opener and I LOVE it. If a friend needs to borrow a tool while I’m gone, I can open the garage door for them and make sure it’s closed when they’re gone. I can also open it when I pull into the neighborhood or into my driveway which is super nice! Guys, this thing is SO stinkin quiet. Like a hum, no louder. I often work two hours away with Savannah in Mesa and drive home late at night. 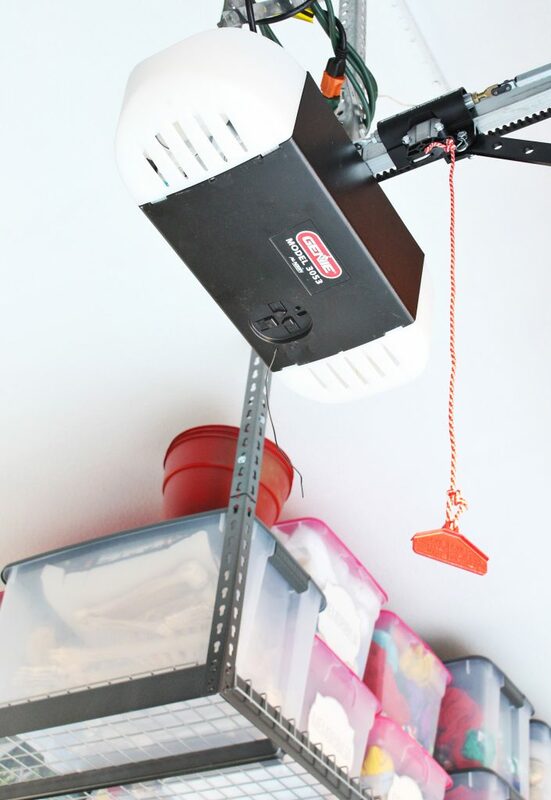 Since this garage door opener is so quiet, I’m not worried about it waking up my kids like it did before. You could literally hear it from anywhere in our house before! This is so much better! 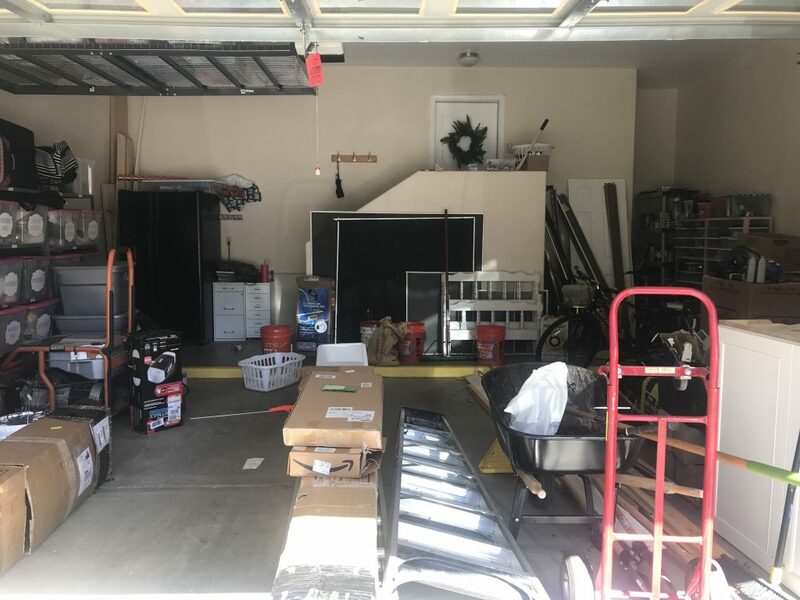 My next post is about how I organize my garage and some awesome storage solutions I came up with so be on the look out for that post soon! This sounds so amazing! 😮 It’s so satisfying looking at the organized garage. Thank you for sharing the post! I look forward to see more posts! Do I see overhead storage racks? If so, can you share the brand and your thoughts on their strength and effectiveness? Also, what is the brand and model of your door? I love the horizontal lines which extend the length of the door. The garage looks amazing. 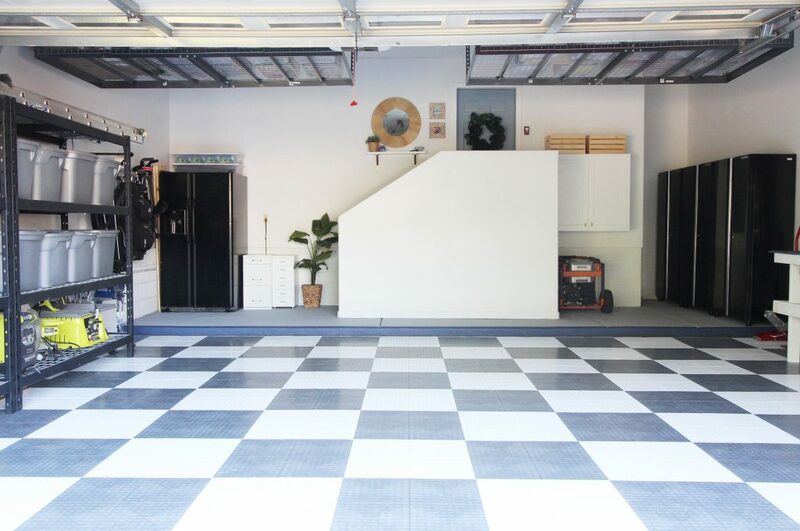 What color of white did you use to paint the interior of your garage? This looks so fabulous! You girls never cease to amaze me. Hi! I used Behr Silver Dust which is a warm white. I will post links to everything coming up! 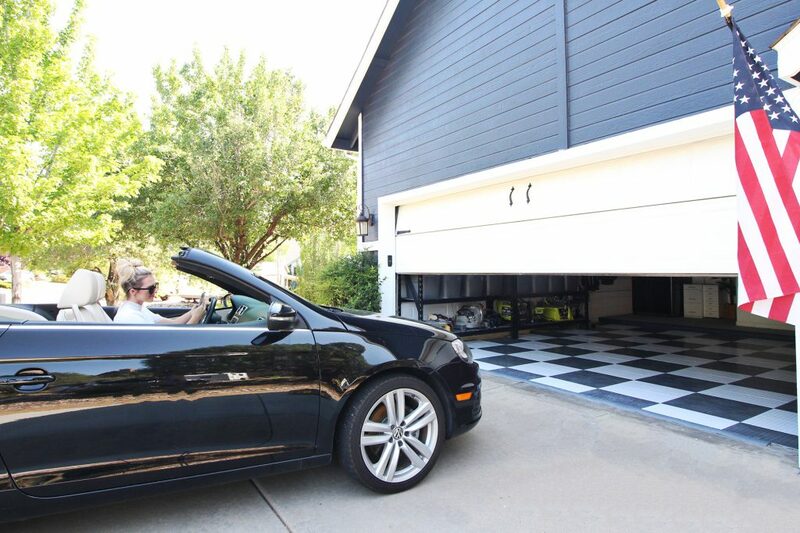 Can you please share the link for the garage floor tiles? Thank you!! 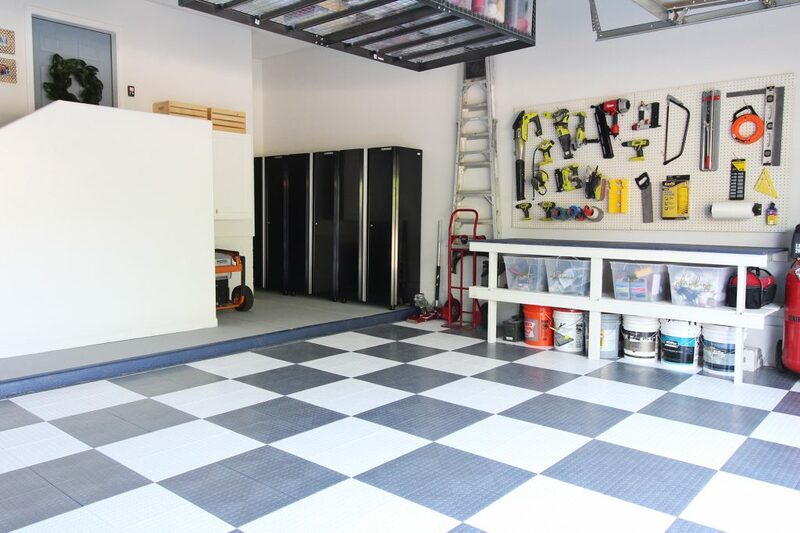 Have you shared how you painted your garage floor? It looks so nice and inviting! !